Thursday is the day that the Indianapolis Colts management must decide whether or not to keep legendary quarterback Peyton Manning on the roster. If he stays with the team, he must be paid a $28 million bonus. However, if he is released by 4 pm Eastern Standard Time on Thursday, the Colts will not owe Manning a dime. If the Colts decide to part ways with Manning and release him but do not do so by 4 pm EST on Thursday, they still owe him the $28 million. In that case, they would have to cut the check by Sunday. Another option for the team is to reconstruct Manning’s contract. No reports have been made on whether or not Manning and the Colts are discussing the option of contract reconstruction. Manning, who has had a string of neck surgeries, is finally getting back to his old form and is regaining his throwing strength. He has been working hard and reports of his progress continue to come out. However, many see it as a foregone conclusion that the Colts will use their number one overall draft pick to get Stanford quarterback Andrew Luck in the April NFL Draft. 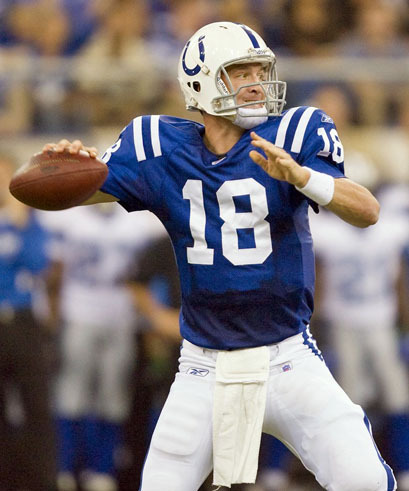 With the future of Peyton Manning as unclear as it was a few months ago, at least now we know that we will know whether or not he will be a Colt in just two days.